Discover the Atlas Difference. Together we can do amazing things! Atlas MedStaff provides a unique approach to healthcare staffing. Our beliefs are deeply rooted in everything we do. Honesty, determination, integrity, and pride aren’t just buzz words we use because they look good posted on a wall. They are the values we live by and are evident in the work we do every day. We start at great and expect more every day. Our team is focused, experienced, and dedicated to providing the ultimate travel experience to every healthcare professional we serve. 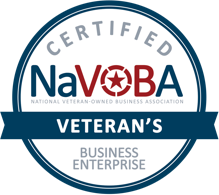 As a veteran owned business, we honor and respect what it means to serve. We understand the difficult nature of change in the lives of our traveling healthcare professionals and support them throughout the process. Meet the Atlas Family. We’d prefer to meet you in person, but this will have to do for now. Largest veteran owned travel nurse staffing company. Atlas MedStaff ranks as the largest veteran owned travel nurse staffing company in the country. Because of where we came from, we recognize the value and power of service. Everything we do is rooted in our these values. If it doesn’t make sense for our nurses working in the hospitals, we won’t do it. Nothing is more important to us than that. 2018 Fastest Growing Staffing Company in the Country. Six years ago, we were just an idea. Build a staffing company from the ground up. Question everything in the industry. Stop treating the nurses in the hospital like a number. Don’t operate an office like a call center. Stop counting phone calls. Stop tracking metrics that don’t matter. Remove all the barriers that a traditional staffing office had to being successful. If we did all these things, we believed success would come. And it did. I consent to Atlas MedStaff collecting my details through this form.